Summary: Light rain on Monday through Wednesday, with high temperatures falling to 65° on Tuesday. Light rain in the morning and overnight. Sgt. 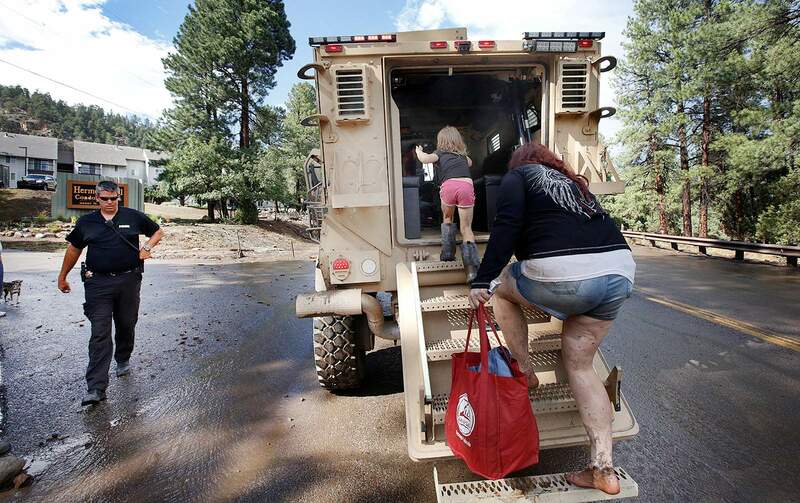 Bobbie Fender with the La Plata County Sheriff’s Office stops to pick up evacuees during recent floods north of Hermosa using a rescue vehicle obtained from a military surplus program. A rescue vehicle owned by the La Plata County Sheriff’s Office was used during floods last month north of Durango around the 416 Fire burn area. The vehicle was obtained from a military surplus program and is sometimes used in local parades. 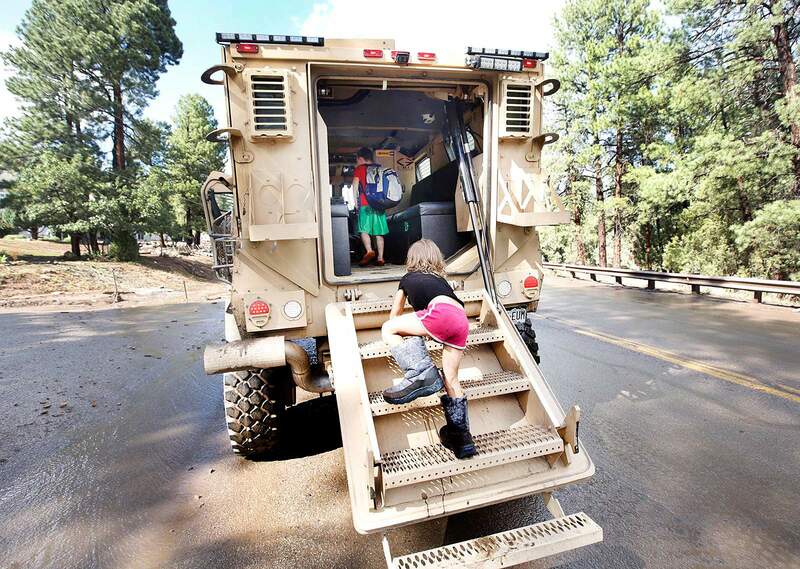 Evacuees board a rescue vehicle owned by the La Plata County Sheriff’s Office during recent floods north of Hermosa. 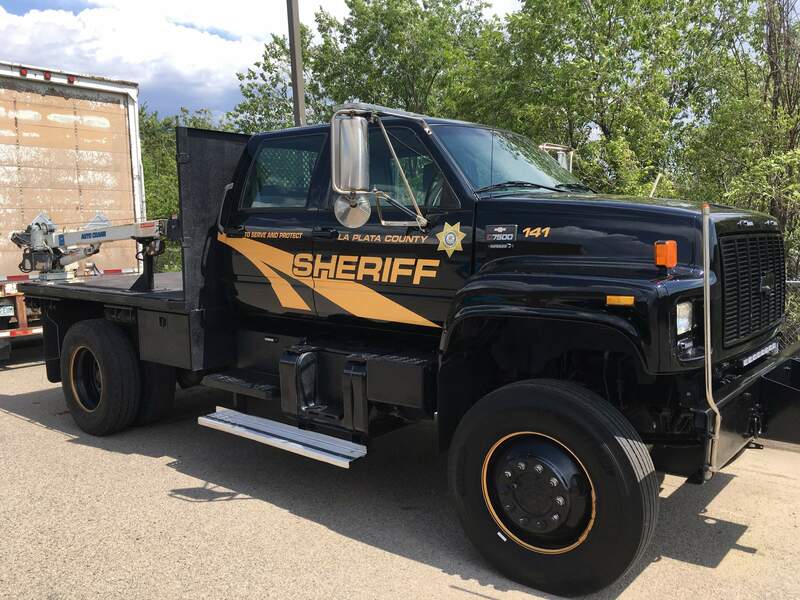 The Sheriff’s Office obtained the vehicle and others for free from a military surplus program, but must pay to repair, paint and maintain the vehicles. Military surplus vehicles obtained by local law enforcement agencies give rural parades a little pep, but on occasion, they’re put to good use ending standoffs or assisting in other emergencies. Such was the case last month during flash-flooding incidents that hit the Hermosa area north of Durango. Three vehicles formerly used by the military were used to help rescue people trapped between debris flows. The La Plata County Sheriff’s Office used a Mine-Resistant Ambush Protected vehicle and two 2001 Chevrolet Kodiak C7500 vehicles to navigate through mudslides. Deputies initially responded with Chevy Tahoes, but the vehicles struggled to get through debris flows across U.S. Highway 550. 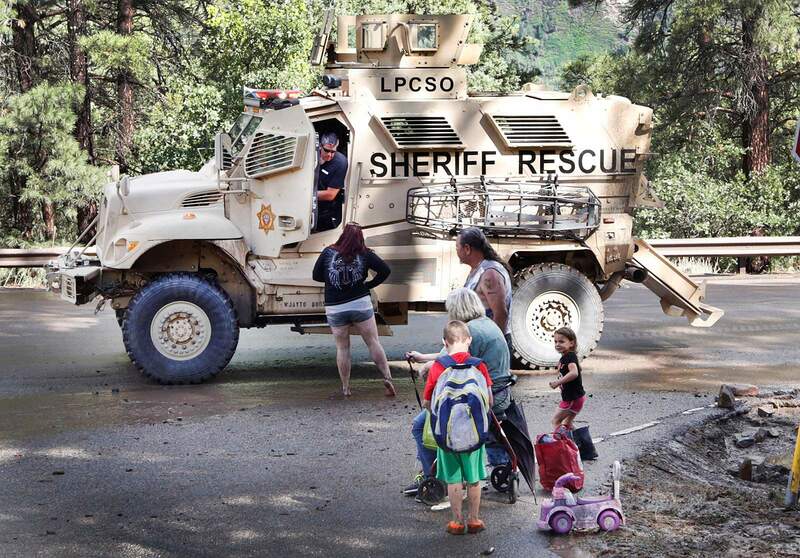 The La Plata County Sheriff’s Office receives excess military equipment via the 1033 Program, a national program that allows local law enforcement agencies to acquire scarcely used military equipment for relatively cheap. When certain equipment is unwanted, the military places it on the program’s website. The first law enforcement agency to claim the item will receive the equipment, assuming the department completes the necessary paperwork and is approved. While most people tend to think of military equipment as tanks and advanced weaponry, Smith tends to look for equipment that has a more utilitarian use to the department. Since serving as sheriff, Smith has acquired bicycles, canine kennels, cold-weather equipment, portable lights, rafts, scuba equipment and trailers. In the last 3½ years, the Sheriff’s Office has acquired about $300,000 of military equipment free of charge. The only cost to the department is shipping costs and repairs needed to adjust the equipment to fit the department’s specific needs. La Plata County Road and Bridge assists with mechanics on the vehicles, Smith said. Some equipment comes broken, while others arrive scarcely used. If the equipment isn’t functional, the department salvages what parts it can to be used on another vehicle. Smith typically orders more than one of the same piece of equipment to increase the odds they’ll be able to use all the parts to create a functional machine. For example, the department recently ordered four all-terrain vehicles with the hopes it could use two of them. However, all four ATVs needed only minor repairs and had few miles on them, Smith said. “For about a $10,000 investment in repairs and decal, I have four vehicles that normally run $15,000 to $20,000 by themselves,” Smith said. Smith recognized the need to have ATVs at the ready during the search for Dylan Redwine in late 2012. Deputies had to use their personal ATVs or borrow from friends to search the rough terrain, costing the department valuable time. Sgt. 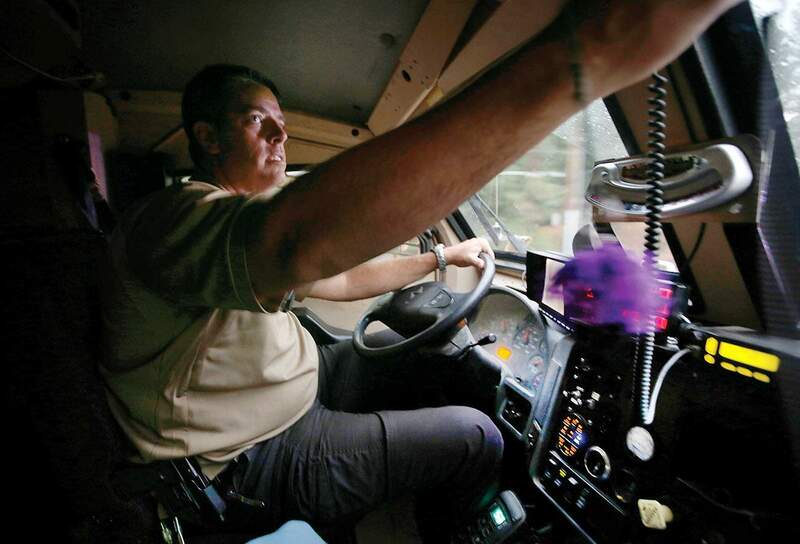 Bobbie Fender drives the La Plata County Sheriff’s Office rescue truck during recent floods north of Hermosa. Before the 416 Fire and flooding events compromised Smith’s time, he would spend about 30 minutes every morning searching the site for specific needs. The MRAP, dubbed Rescue 1 by the department, was acquired in September 2013 before Smith became sheriff. The flooding incident is the first time the vehicle has been used for a rescue mission; primarily, it has been used by local SWAT teams. When the department acquired the vehicle, it had around 5,300 miles on it and was worth around $800,000, Fender said. The only costs to the department were to disable the offensive capabilities of the vehicle and decal it with the Sheriff’s Office emblem. Despite the fact that the vehicle has a turret on top, Rescue 1 has no offensive capabilities. The turret has been disabled, and the vehicle has been modified to serve as a rescue vehicle, including installing benches in the interior to safely transport people. One of two 2001 Chevrolet Kodiak C7500 trucks used during recent flooding events to evacuate residents from the mudslides. 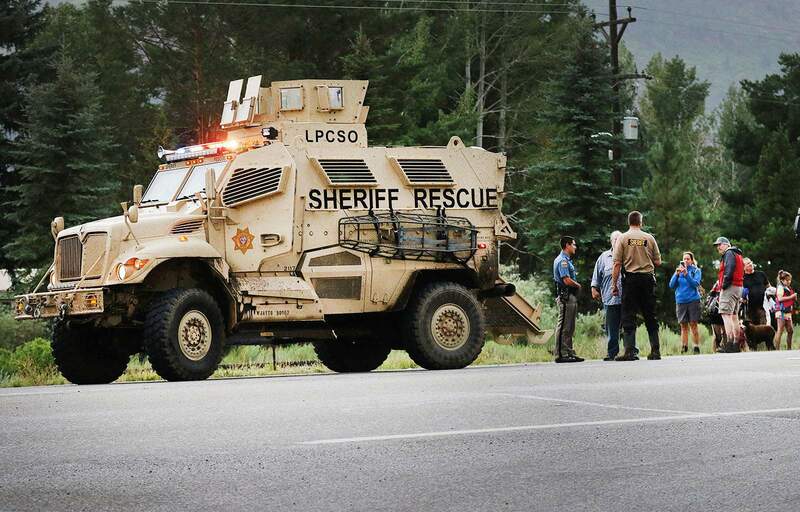 The vehicles were obtained by the La Plata County Sheriff’s Office through a military surplus program. 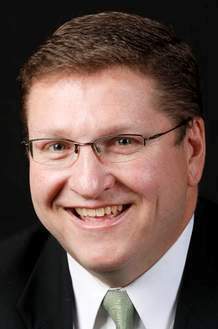 Smith ordered the two Chevy trucks in August 2017. They were used last month during three flooding events around the 416 Fire burn area. Deputies packed in a minivan and drove to California to pick up the trucks. Both trucks ended up being in good condition, needing only a few minor repairs. After the 416 Fire, the trucks were moved to a location in Hermosa in preparation for the floods. The trucks have mainly been used to carry heavy rafts and boats for trainings, Smith said. The department purchased Zodiac rafts in case the county ever sees a severe flooding event with standing water, and the trucks were the only vehicles the department had that could carry them. So far, the rafts have been used only for training.